Opening April 15, Mandarin Oriental, Lago di Como is the result of a total renovation of an older lakefront property on the iconic aquatic playground. Located in the village of Blevio, within easy reach of Milan and Malpensa International airport, central Como and the region’s attractions are within reach. The 19th-century Villa Roccabruna is at the heart of the resort, featuring 21 rooms, 52 suites and two private, stand-alone villas. Acclaimed interior designer, Eric Egan, oversaw the refresh of the resort’s accommodation and public areas, creating a sense of modern Italian elegance and subtle oriental charm. Pressed up against white sands and crystal blue waters, Waldorf Astoria Maldives Ithaafushi is already being touted as one of the top dining destinations in the archipelago. With 11 venues to choose from, gourmands are spoiled for choice, but may enjoy the lofty concept at Terra. The treetop dinner experience offers picturesque views from private dining pods crafted from natural bamboo – and chefs work with the finest ingredients in an eclectic menu. The resort spans three private islands and includes 122 beach, reef and overwater villas with private pools. If there’s one name you can count on to successfully fuse rustic Arabian character with understated (but most certainly present) luxury, it’s Jumeirah. The UAE-based firm unveiled the Jumeirah Al Wathba Desert Resort & Spa in mid-March to bring another luxury escape to Abu Dhabi. Tucked away amongst the rolling golden dunes of the Al Wathba area, approximately 50km south east of the UAE capital, the resort promises “an indulgent desert sanctuary” that “evokes the atmosphere of a traditional Bedouin village”. 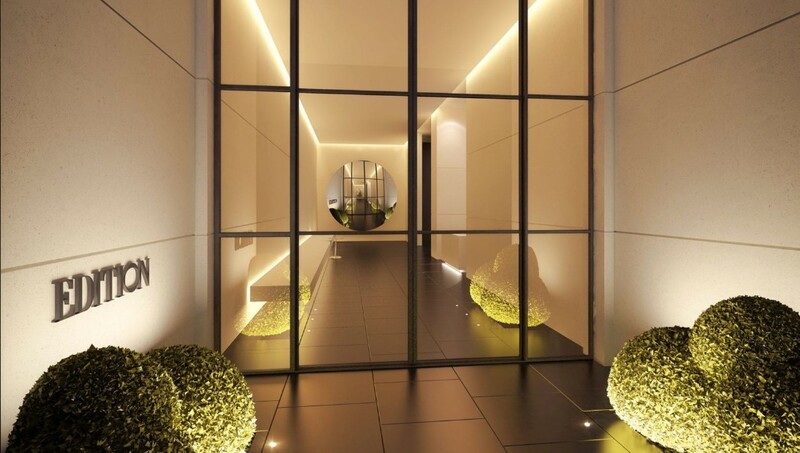 Being a 45-minute drive from downtown Abu Dhabi and 90 minutes from the chain’s Burj Al Arab location in Dubai, “sanctuary” summarises the property rather well. Five on-site dining and entertainment options cater to those who plan on staying within the resort’s walls for the duration of their stay, including Terra Secca for exquisite Italian dining and the peaceful Al Mesayan rooftop bar for dinner with a view. Many guests will arrive to swap city lights for peaceful nights at the Al Mabeet Desert Camp, designed to evoke traditional Bedouin life and dine among the dunes. Can EDITION Hotels make Times Square great again? The tourist trap certainly just got a lot cooler thanks to Ian Schrager’s latest design venture. According to travellers lucky enough to have visited The Times Square EDITION, the hotel is a haven from the neon chaos of the neighbourhood, with a minimalist-chic in keeping with the brand’s aesthetic in Abu Dhabi, Bodrum et al. The first Michelin-starred chef ever in Times Square, John Fraser, is spearheading the food and beverage at the hotel to create a cacophony of dining experiences. The fine dining restaurant named 701 West is a gastronomic gem in a jewel box-like setting that is described as an explosion of colour. Having flung open its doors last month, Rosewood Hong Kong has already made its mark on the peninsula a series of inaugural “firsts” for the brand. 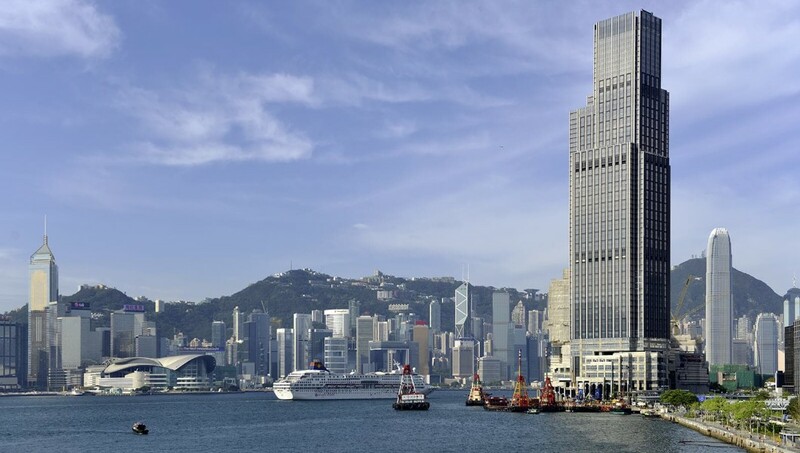 Situated in the Victoria Dockside district, the 65-storey, ultra-luxury property was designed by Kohn Pedersen Fox Associates and features magnificent views of Hong Kong’s iconic harbour, which is showcased from over 80% of the rooms. The 322 guestrooms start at 53sqm and 91 suitesat 92sqm , making them among the largest in the city. The hotel also has eight dining concepts, including Chinese teahouse Holt’s Café; refined regional Cantonese cuisine at The Legacy House; and creative cocktails at the hotel’s discreet, richly ambient bar, DarkSide. 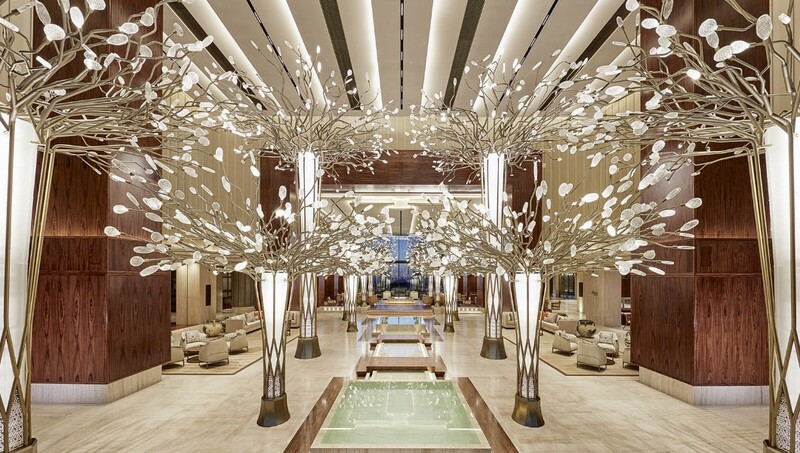 Mövenpick Hotel Tahlia Jeddah features the city’s first restaurant managed by a Michelin-starred chef as well as the first premium hotel in Jeddah to offer three interconnecting rooms for families and long stay guests. With a noise cancelling system built into the structure, the hotel’s 161 spacious rooms and suites are a haven for business and leisure travellers in the heart of the city. Moreover, images of majestic Saudi Arabian landscapes, shot by local professional photographers, adorn the modern interior for a true sense of place. Just when you thought the Dubai’s coastline had all been snapped up, there arrives a stunning new five-star hotel, just a hop and a step to the water’s edge. The ultra-chic Jeffrey Wilkes-designed property consists of 56 spacious and elegant guest rooms and suites, most with private balconies and terraces with ocean or city views. The Jumeirah Beach Road address houses six restaurants and bars, all new and unique to Dubai’s dining scene with two signature restaurants; Tasca by Portuguese celebrity chef José Avillez and Netsu, a Warayaki-style Japanese steakhouse by Australian-born chef Ross Shonhan. The Spa at Mandarin Oriental Jumeira, Dubai puts the focus on locally inspired experiences – care for a 75-minute Za’atar Detox? All nine treatment rooms feature individual changing and bathroom facilities, and some have private terraces overlooking the ocean. This welcoming oasis offers exceptional heat and water experiences, and a range of holistic rejuvenation and relaxation treatments.